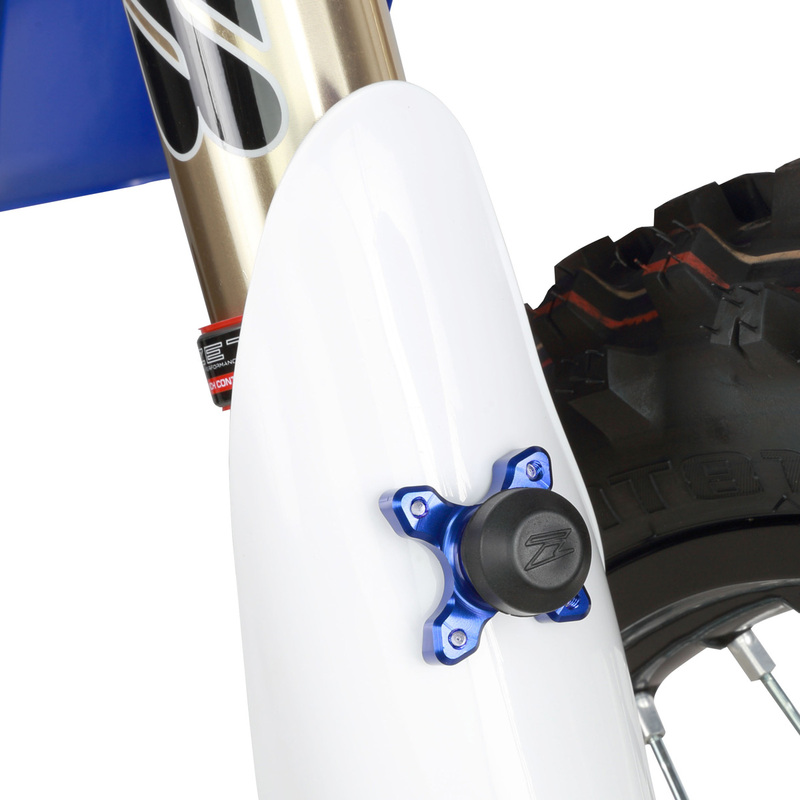 - Universal launch control kit to fit most MX racing bikes. - A hinge style aluminum clamp body for easy installation, no need to remove front fork to install. 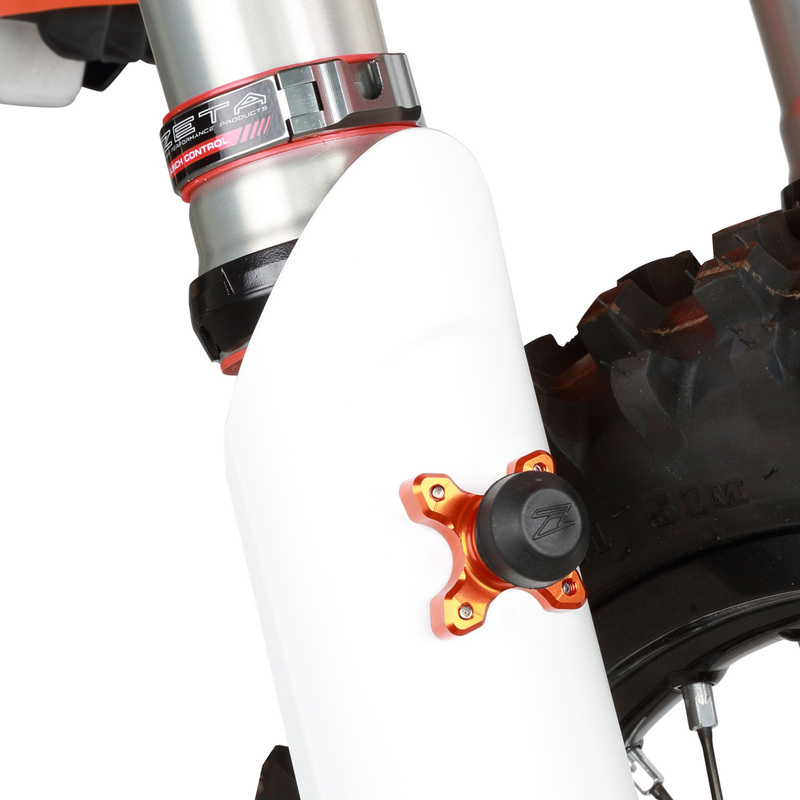 - Nylon sleeve on clamp body prevents front fork scratches. 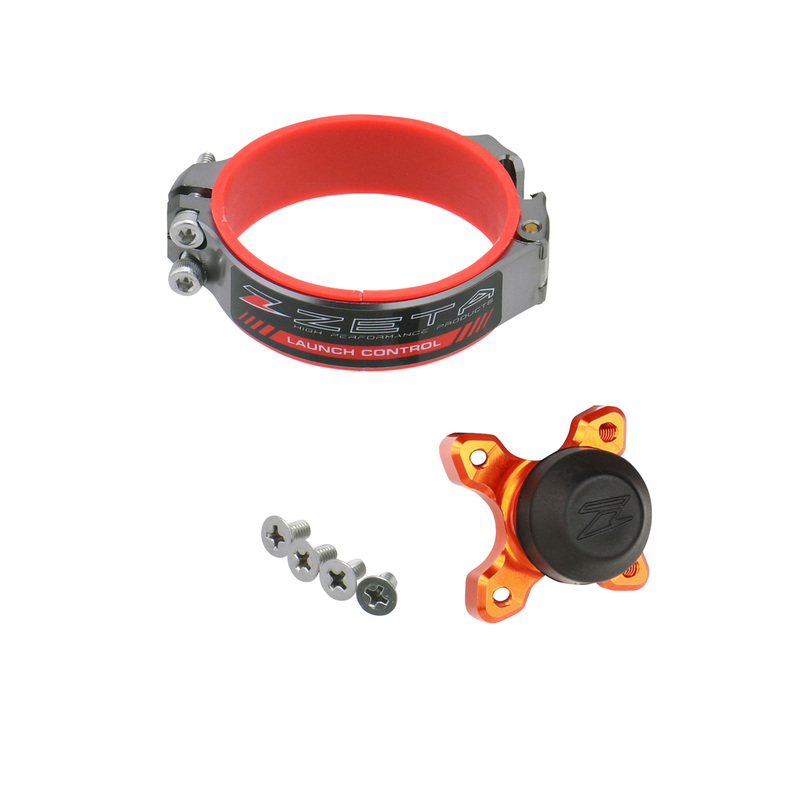 - Hinge pin used on clamp body is made of light weight and durable Ti6AI-4V. 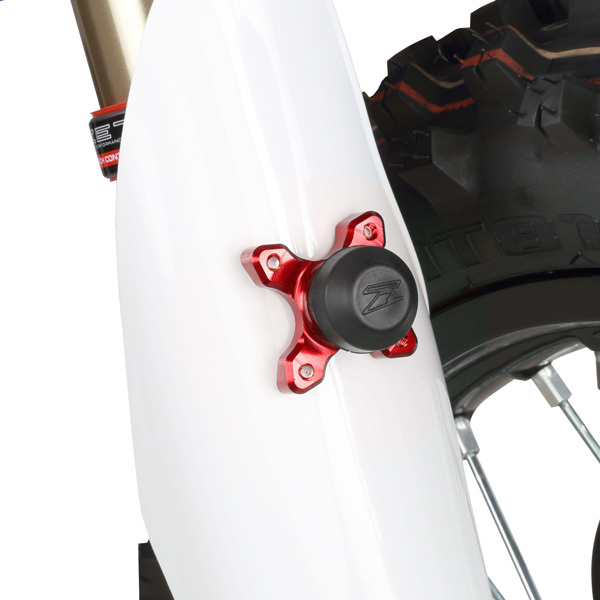 - Lock pin body is fitted by 4 screws for secure fitment on your lower fork guard. 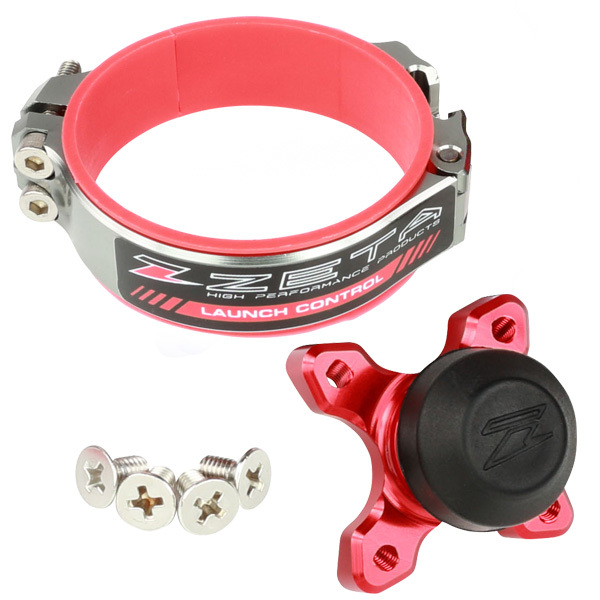 - You can install the lock pin body with your desire position on your lower fork guard. - Replacement rubber for lock pin is available. - Available in 3 beautiful anodized colors.